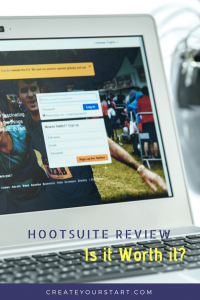 Home » Build a Social Following » HootSuite Review: Does It Suit You? 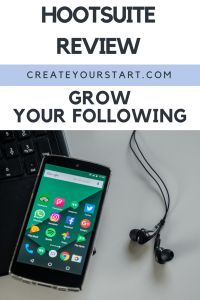 When running a blog and trying to manage social media accounts, many people find themselves clicking between multiple applications and websites to get all their notifications. Often, this ends up taking a lot of time and effort for an individual (or even a team managing a business’ marketing), especially since all these accounts need to be managed properly. This was the problem Hootsuite sought to solve by creating a one-stop platform to manage all social media accounts. But is Hootsuite something that will work for you? Does It Have a WordPress Plugin or Integration? Does It Have a Link or URL Shortener & Click Tracking? Does It Have Analytics and Reports for Social Sharing? Does It Have an Autoschedule or Calendar Feature? Does It Have a Reposting or Rescheduling Feature? Does It Support RSS Feed Sharing? Does HootSuite Have a Browser or Chrome Extension for Easy Posting? Integrations: How Easy is HootSuite to Use with Other Tools? Does It Work Well With All The Major Social Media Accounts? Do They Support Emojis in Posts? 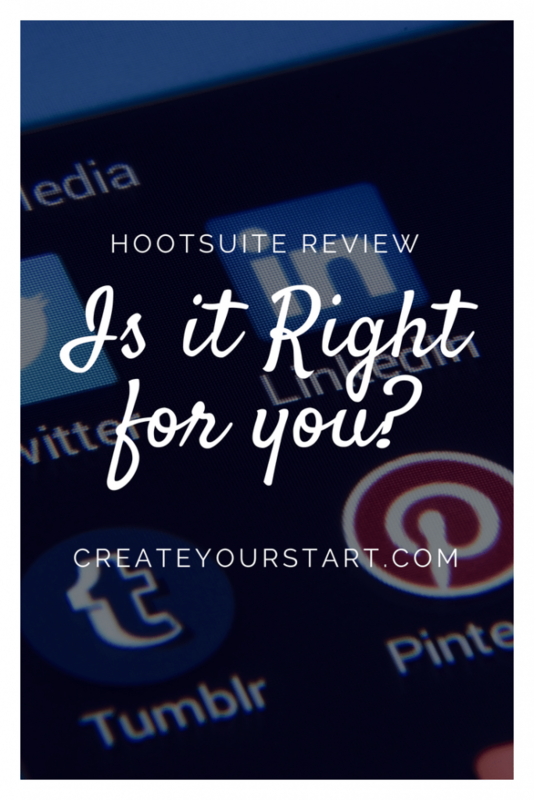 Does HootSuite Have a Monthly and Annual Subscription? Promo Codes & Discounts: Do They Have Special Offers? Is There a Satisfaction or Money-Back Guarantee? The Phone Number: Do You Get a Real Person? Hootsuite is great for handling multiple social media accounts while only logging into one dashboard. Anyone can simply register for a free account to see how it works to begin adding your different accounts. You can connect it to manage Twitter, Facebook, Google+, Instagram, YouTube, and LinkedIn, all of which are accessed from the web browser. You don’t need to install any extra apps for these. I love it, and have found it to be one of the best companies for organizing my entire blog’s social life online. It’s likely one of the first names people think of when they consider social media management. This is largely thanks to its well tested core features, along with listening, publishing, and extensive integration capabilities. Once you add more than three social profiles you’ll need to sign up for a paid plan which is priced reasonably. 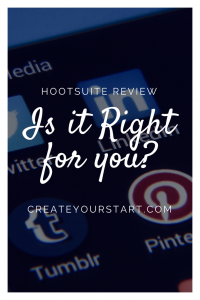 For the ease of it, if social media is really important for you and you have multiple platforms going, it’s worth it to sign up for Hootsuite to manage all your social platforms in one place. Beyond the core social accounts mentioned above, Hootsuite supports management of more social platforms than most tools. Even websites like FourSquare are included without any applications needed. 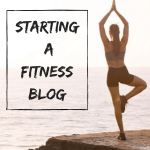 The free plan is great if you’re just going with three or less accounts, but once you jump up to the pro version it’s only $9.99 a month, which is perfect for many bloggers and small businesses. Pay either monthly or yearly depending on what will work best for your business. Then you can begin to manage all of your accounts in different tabs through one interface, and you cna let you monitor them quickly. You can even set up Hootsuite to auto post for you on your different networks. 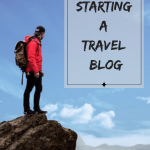 It’s very simple to upload a file that will allow hundreds of posts to go out over the course of weeks, months, or even the entire year. An entire social media campaign can be scheduled quickly so you can focus more time on creating great content. While Hootsuite has a lot of things going for it, and works great for bloggers or businesses seeking to keep their online presence organized, there are some annoying issues. In terms of the supported social media sites, only a small number don’t require an extra application. Websites like Pinterest and YouTube, along with many others such as Reddit or Vimeo, or even Tumblr, require you to install an application in order to use them. If you do happen to need the Enterprise level (for a really large site or organization), you might end up paying over $100 a year in order to maintain the website and all its applications. The free account is fairly limited, only letting you manage three accounts while carrying out basic processes. Adding team members, getting the most detailed reports, and running contests all have a little extra cost to them. People love Hootsuite because of how easy it is to use. If you’re only posting to a few profiles, you don’t even have to worry about upgrading beyond the free service. It’s saved people a lot of time and energy since the interface is both easy to use and easy to learn. There are enough features for bloggers and small businesses to manage their posting schedule right away. Despite all the good said about it, not everyone has been totally satisfied.. Some people have complained about being charged unfairly for the free trial (although this is rare), and Customer service works quite slowly too. They seem to rarely respond to inquiries either over the phone or via email. People are especially unhappy that they’re being charged for a free trial when they’re unable to post on personal pages. The tool only allows posting on business pages. Occasionally people have complained about posting not working or there being a bug in the system but these get fixed almost right away. Yes. WordPress is actually supported right within the tool dashboard. This means that it is included in the list of websites that do not require you to download an application. You can cross post content on multiple WordPress accounts, or reblog posts that you think are good. Self-hosted WordPress blogs are now supported too. Recently, Hootsuite announced a choice of URL shorteners. Now you can create short Ow.ly links and share them anywhere while tracking their click data. Ow.ly is now a fully redirected URL. The newly-added Ht.ly presents the link right in the social media bar to help you with easy re-tweets and sharing. You can track all the clicks on these links as well. Although for everything besides Twitter, you can only track one link at a time. Simply click into the “link” field, paste a URL, and click the shrink button to get your link. From there, send it to your destination and click on “analytics” to track the clicks. You can easily measure the movement of visitors to your social media channels through Hootsuite. Without any setup, you can get a clear and concise overview of your Facebook, Twitter, and Instagram activity with easy to understand visualizations. Create unlimited real time reports or measure the performance of your team by tracking how long they take to respond and resolve direct messages and tweets. Boost your own customer service by sharing custom reports with your team. All you have to do to upload hundred of messages at once is upload a file in a CSV format. The website will schedule it for you. You can check on what’s scheduled by clicking on your social content schedule, which will be displayed in a list or shown in a daily, weekly, or monthly view. On the Hootsuite mobile app, you can manage all this scheduled content on the go. You can easily repost from other social media pages using Hootsuite. You can of course do this manually, but through the dashboard this process can be done in just a couple of seconds. Yes, it does. You’re able to add as many RSS feeds as you would like, and send all of them out over multiple Twitter profiles all at once. Each tweet will get its own ow.ly URL too, which will allow you to track the clicks. Yes. To easily schedule posts while you search the web, install the Hootlet extension right on your Chrome bar. This will make it simple to search, compose, and share your content right from Chrome while supporting social searches in Google, Google Maps, and Google Images, and photo sharing in Google Images, Instagram, Flickr, Pinterest, and YouTube. Hootsuite has partnered with other companies to help you integrate other tools into your system. Check out the app directory to connect your social media accounts with 250+ apps and integrations. It works well with all accounts, but keep in mind that not all of the accounts are directly supported on Hootsuite. You will need to download the app and pay to use some of them, while only a small number are free. Emojis are now supported to enhance your marketing. You simply need to go to “control,” “command,” and click the spacebar to get to your emojis. On desktop, make sure you go through the access keyboard and turn the emojis on to use them. There is a free version for under three social accounts. 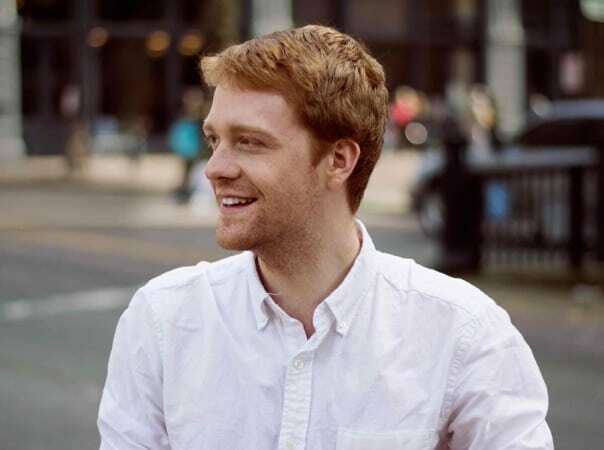 You can get the Professional Plan for $29 a month, which works for 10 social profiles, unlimited scheduling, and one user (at the time of writing). The Team system will go for $129 a month for 20 social profiles and 3 users. Larger Businesses will need the $599 a month plan, which will allow 35 social profiles and up to 10 users. Beyond that, you can contact a sales rep for more information on the Enterprise plan if you need something even more powerful. You can choose to pay either every month or every year. Usually app payments are required every month though. All Hootsuite plans offer a free 30-day trial which you’re able to cancel at any time. You can also simply use the free plan if you’re only one user working on 3 social media sites. If you want to cancel your account, make sure that you don’t have any overdue balances first. Cancel your account five business days prior to you next billing date so you won’t be charged for anything. Cancellation also cannot be done until the 12 months of your annual plan are finished, if signed up for an annual plan. There aren’t many special offers or sales days, but you can of course begin a free trial. There are a few codes that will allow you to get 60 days of Pro rather than only 30. There are no refunds for fees related to accounts and add-ons. If you’re not satisfied, the best they can do is to provide you with a credit if you’ve downgraded your account. These credits can only be used against the purchase of future services. Customer service is one of the things people claim to be the worst part of the company. 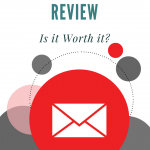 You can contact support, but many reviewers say they do not get an answer. Or they receive someone who can really help them. You might get a real person when you call in, but often, people do not find this any more helpful than emailing. Managing your social presence when running a blog or business is a lot of work. Especially when there are so many social media accounts to keep up with. Hootsuite is a great option to make your online blogging life run that much more smoothly. Stencil Review: Should You Use This App To Create Designs?